August 11th marks the one year anniversary of the Alt-Right’s “Unite the Right” rally in Charlottesville, Virginia that took the life of activist Heather Heyer by a man who hit her intentionally with his car. The images of that day are forever engrained in the psyche of the American public. 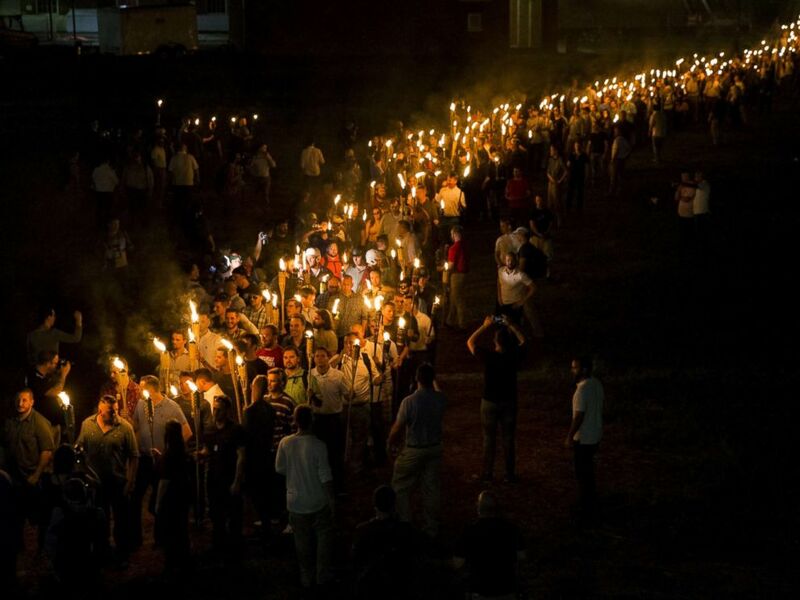 From images of Khaki clad college students holding tiki torches as they marched through the center of town screaming about Jewish people replacing them, to chanting the words “Blood and Soil,” which was a direct throwback to a past era that we all naively thought never would return. As much as I wish I could offer some concrete answers, I can’t. I could never comprehend how that in 2018, we have a political party who openly gives a platform to this kind of rhetoric and another party who willingly jumps at the trap and plays directly into the narrative. The idea of identity goes far beyond political affiliation at this point. People see their ethnic makeups as the binding factor in who they are, if anything hinders them in any way, regardless of the size of the inconvenience then the whole system must be rigged. This victimhood mentality is a down payment on at least a generation of people who will be content in never attempting to move towards any sense of upward mobility. I bring up this story because as much as we as a collective ignore this message or just plain act like it doesn’t exist, the seeds of their hateful speech has already been released into the national dialogue. To reject that fact is to choose to walk away why the building you live in is caught in a 4 alarm blaze. This is where hip hop as a culture has failed at their own rules. Hip hop is and has always been sold as the voice of the voiceless, It was a space where any artist could step into a recording booth and let his truth out for the world to consume. In the age of the internet, this power has been increased substantially. `Knowing this, I have to ask, why have a majority of artists actively avoided this topic? I understand not addressing every individual occurrence, but to act as if this rhetoric isn't spreading and the message isn’t resonating with at least a small part of the population could be seen as blatantly irresponsible! The mental gymnastics required to address the complexity of it can be exhausting, but you can safely assume that at least some fans have to deal with these clashes on almost a daily basis. From disproportionately being locked up with longer sentences in the criminal justice system, to being racially profiled on a friday night, you cant deny that there are people that ultimately see anyone who differs from them as lesser than. Where can we go for an escape? When the mass media even has us judging ourselves by the standards of those responsible for it, where does our argument lie? To blackballing Kaepernick and threatening entire organizations over symbols, to downplaying Lebron James for giving opportunities to those who are regularly ignored by those in power until election time, why are stories that expose a corrupt system met with such scorn? With every image we consume, some of us are forced to hype ourselves up to be a success, yet when we reach our goals we’re met with suspicion and rumors of illegitimacy. Like I stated earlier, I wish I had answers to how we could reroute this environment but instead all I can offer is a perspective based on the events I have seen and experienced. Some may reject this piece outright and I knew that as I was writing it, but unlike those broad groups I alluded to, I can’t stay silent! In trying times you can’t be neutral on a moving train, especially when the embers of division are consistently burning.